Now you can convert your factory tank or fuel cell to an in-tank EFI fuel system quickly and easily! And add the benefits of a Holley Hydramat in the process! 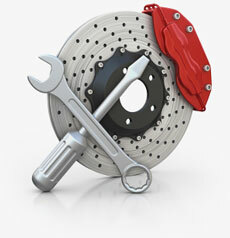 The conversion is easily accomplished with basic tools and requires no welding or fabrication. 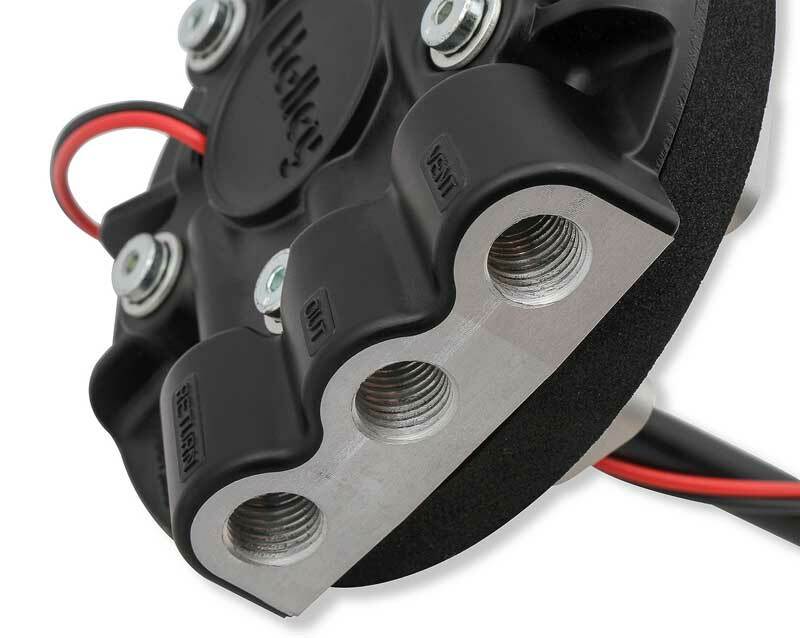 The aluminum module design includes a die cast pump hanger bracket to control pump vibration while also providing a low profile design to fit where space is at a premium. 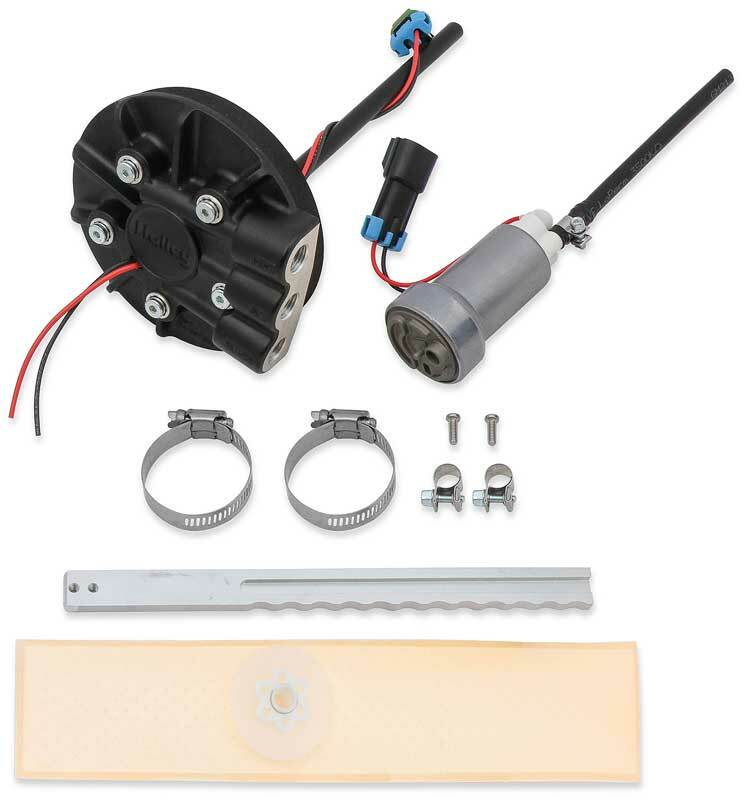 Holley's innovative clamping system and integrated fuel pump makes it easy. 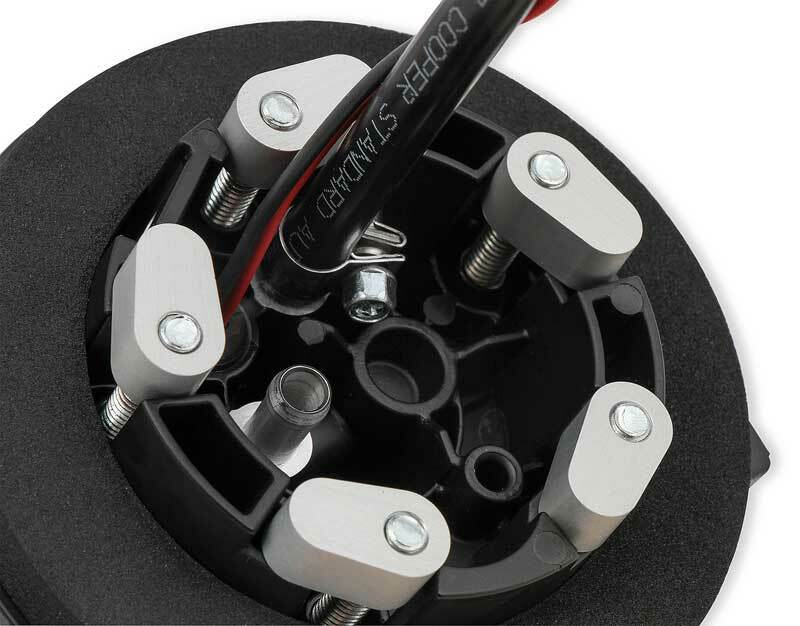 Once installed, hook up your fuel lines and your power source/ground and you're off and running! NO hassle! 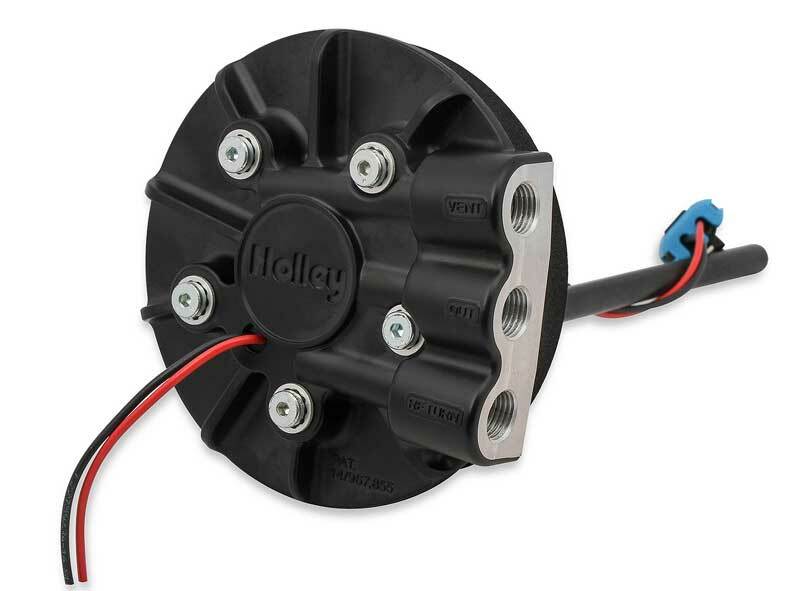 Note: It is recommended to use a Holley H12753 30 Amp Fuel Pump Relay (sold separately) along with a minimum size of 12 Gauge wire for your installation.